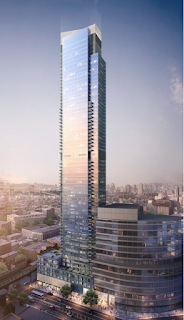 The developer of a 67-story building that will contain 802 condo units got the go ahead from the state attorney general’s office to start selling units. The building will be the tallest in Queens to date, with the total value of all units in the 100 percent condo-building to exceed $1 billion, according to the offering plan. The units are expected to begin closing in July 2020. The development, called the Skyline Tower and located at 23-15 44th Drive, will consist of about 30 percent of the condo stock in Long Island City when it is complete, according to Patrick W. Smith, an agent with Stribling & Associates who focuses on new development and who is heading up the company’s first office in Queens. Most likely to be an open shop job as with all the others out in LIC. LIC already is congested and wait until Amazon moves in?